California Attorney General Xavier Becerra is refusing to budge when it comes to releasing law enforcement records. California Attorney General Xavier Becerra is tasked with enforcing and upholding the state's laws. But when it comes to a new meaesure that requires the release of law enforcement misconduct records, Becerra is refusing to budge. KVCR's Rick Dulock introduces this report from Capital Public Radio's Nadine Sebai. Becerra says he's waiting for decisions from several courts before he provides internal investigation records on officers from within his department. BECERRA: I just want to make sure that when I go forward and if I produce a document that someone's requested, I don't want a court to tell me, 'That was not a document that you should have released.' Too late. And those people who had that privacy violated have no real recourse because even if you sue and go to court, it doesn't bring back the privacy. The new law took effect on January 1st. Since then, police unions from Richmond and Los Angeles have sued to block disclosure of misconduct files. The courts will determine how to interpret the law, namely, whether records are meant to be provided retroactively. 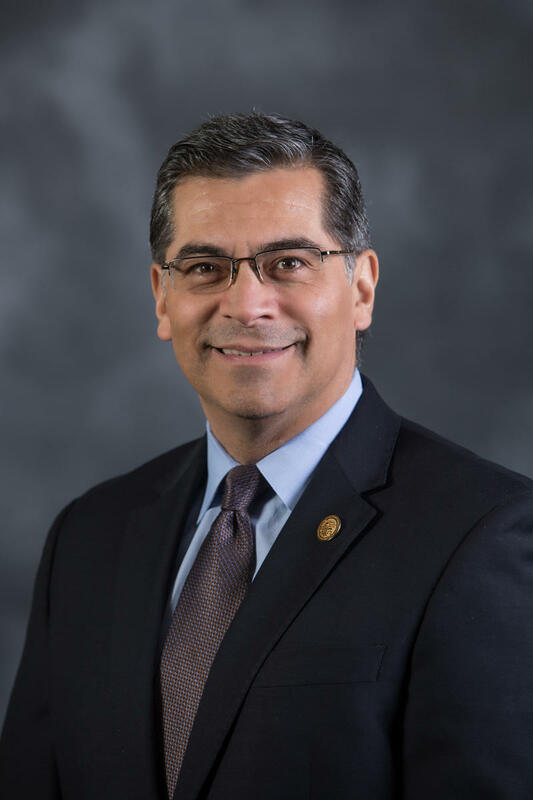 California Attorney General Xavier Becerra delivered the Spanish-language response to President Trump's State of the Union address last night (Tuesday) from his high-school alma mater in Sacramento. Capital Public Radio's Nadine Sebai reports. California Attorney General Xavier Becerra has indicated his office will challenge President Donald Trump's executive order that bans travel from those 7 majority-Muslim countries. Becerra is just not yet sure how he'll challenge it, as Capital Public Radio's Ben Bradford reports.